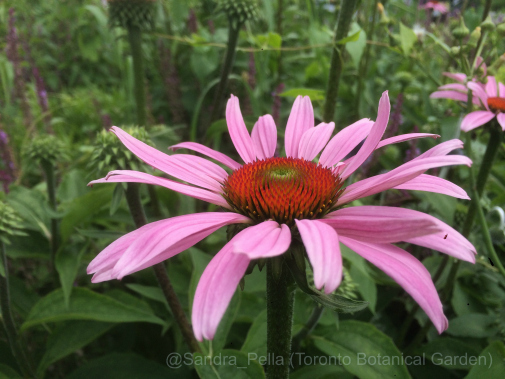 Comments Off on What’s In Bloom: Who Says? 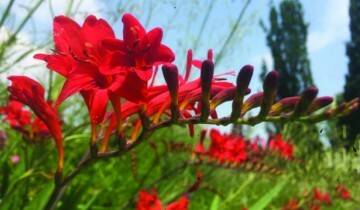 What’s In Bloom: Who Says? 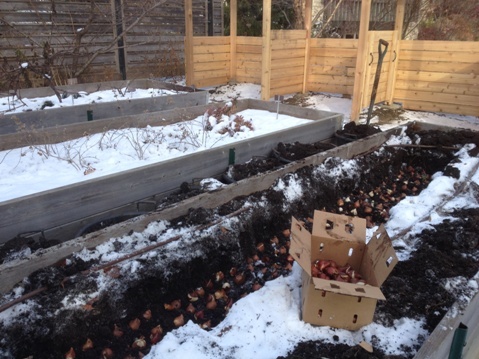 Who says you can’t plant bulbs through the snow in November? Well I’ll be planting on until they’re all in – rain, sun, or snow! 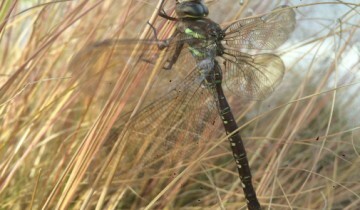 The ground hasn’t frozen through so once I break through the inch or less of hard crust its good to go! Viburnum sargentii ‘Onondaga’ (Sargent viburnum) in the Nature Garden, keeps on giving. 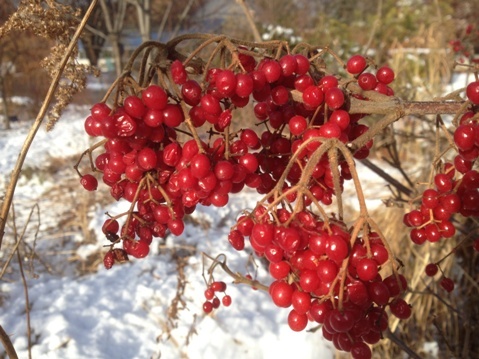 Its purple leaves of autumn have dropped and given way to brilliant red berries, perfectly offset with a layer of snow. 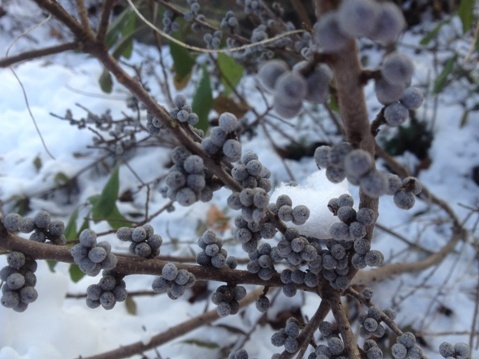 Myrica pensylvanica (bayberry) not more than a stone’s throw from Onondaga, provides plenty of winter interest with smoky blue berries clustered along & close to its branches. This fruit is covered with a waxy substance good for making candles. 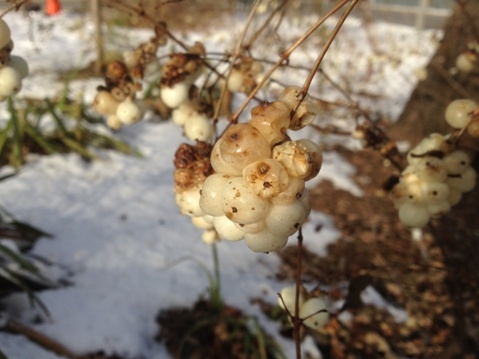 … holding its own after the snow and freezing temperatures. 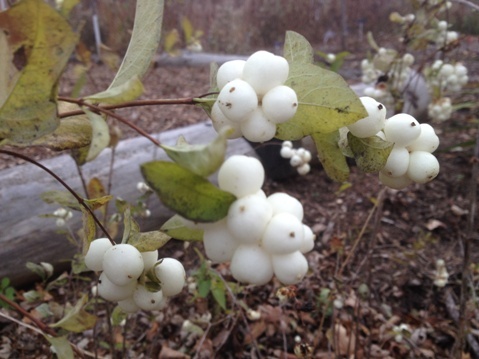 The white berries will remain on the stems through most of winter since not many birds find them appealing. 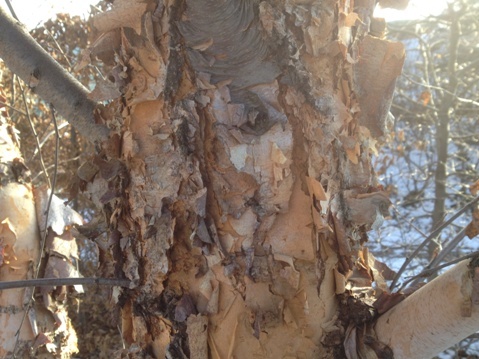 And who wouldn’t say the exfoliating bark of Betula nigra (river birch) isn’t simply stunning any time of year, but perhaps particularly in winter (I know it isn’t officially winter – yet!). Remember: don’t prune this beauty in spring while the sap is running. When is it okay to prune ornamental grasses? 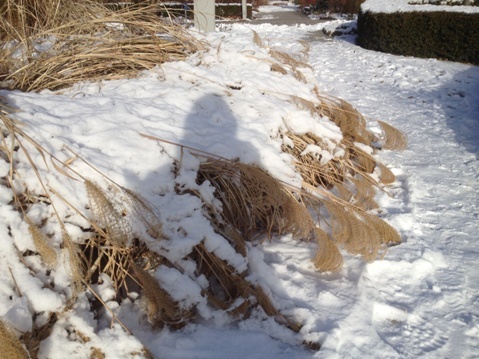 When Miscanthus sinensis ‘Variegatus’ (striped eulalia) in the Perennial Border is falling over from the weight of a fair snowfall, its time. Foliage should be left standing over winter to protect the crown, therefore only cut back to where the grass is bent over, waiting until late winter & early spring to make a proper job of it.